Raiders kick off the season with a trip to Somerset to take on Taunton Titans at their extensive Hyde Park facility (now known as Commsplus Ltd. Stadium). Our visits to Taunton over recent years have not borne much fruit, last October was a one sided affair (81-14). The return visit on a soggy Saturday in January produced a close-run encounter (19-25). 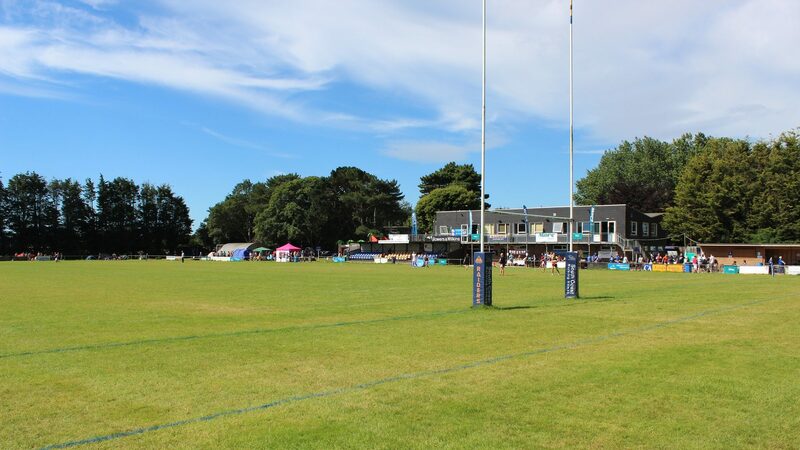 Taunton RFC was founded in 1875 so it is up there with the oldest clubs, having been formed before the likes of London Scottish, Cardiff, Rosslyn Park and Saracens. The club moved to their extensive facility, now known as Commsplus Ltd Stadium, in 2001 having played at Priory Park for the previous 66 years. The Bridgwater and Avon canal and the river Tone are nearby as is the M5 motorway. The surroundings are an area of outstanding natural beauty. Historic Taunton (records go back to before 700 AD) is the County town of Somerset and home to Somerset County Cricket Club. Taunton is also home to 40 Commando Royal Marines. The area and the town is well known for Cider. The club emerged through the South West leagues, going unbeaten in 2008-9. Back-to-back promotions elevated the club to National 2 South in 2010. Titans have links with Exeter Chiefs. In earlier seasons they may have called upon players from Exeter University, although this connection, by design, is not now so prevalent. The University ‘Saturday’ team play in South West Premier (Level 5), having gained promotion last season. Raiders, ravaged by injuries, travelled to unbeaten, near to table-topping Titans and felt the full brunt of a rampant Somerset outfit. Titans had 4 tries in the bag within the first 20 minutes or so and Raiders had conceded 13 tries by the end. Matt McLean scored all the Raiders points converting both of his tries. Titans: Kingdom, Fraser, Mason, Popham, Rice, East, Webb, Kenny, Hamilton, Dalton, Persey, Lugg, Vakalutukali, Fleming, Prior. Bench: Francis, Tribble, Chapman, Frost, Banks. Raiders: Leeming, Maslen, Miller, Forrest, Hampson, McLean, Boyland, Ajaji, Gearing-Grief, Litterick, Lee, Lake, Dawe, Whittall, Redmayne. Bench: Harris, Adams, Gatford, Cleveland, Coyle. Raiders took an early lead through Kemp Price and were 14-6 ahead after 20 minutes when winger Sam Boyland crossed. (Matt McLean converting both.) No change in the score-line by oranges. A yellow card for prop George Head turned the game in the visitors’ favour, as they added tries by Ollie Rice and Paul Davis during his absence. One was converted by Gary Kingdom for the score to turn to 14-18. A further converted try from Davis in the 74th minute looked to condemn the Raiders to a pointless afternoon in the rain, but Jack Forrest crossed in the dying seconds. The conversion was declined in favour of possibly grabbing another try before no-side, but Titans got the ball away to touch to complete the win. Titans: Kingdom, Struminski, Mason, Fraser, Rice, Webb, Banks, Baker, Davis, Dalton, England, Lugg, Fleming, Frost, Oliphant-Thompson. Bench: Francis, Wilman, Vakalutukali, Persey, Prior. Raiders: McIlwaine, Maslen, Richards, Forrest J, Boyland, McLean, Walsh, Head, Gearing-Grief, Litterick, Dingle, Lake, Price, Whittall, Perkins. Bench: Luke, Gatford, Lee, Dawe, Leeming. Another impressive season finishing 4th, behind Cinderford, Chinnor (both promoted) and Rams (112 points). Titans set off at pace, unbeaten in their first 9 fixtures! Match 10 was at Hyde Park against Henley Hawks, most pundits had it as a home win banker…. (31-42)!!! This result seemed to rock the boat and by match 16 they had lost another 4…..LIWG (45-38), Chinnor (13-7), Cinderford (14-33) and TJ’s (26-20). Promotion prospects by this stage had more or less evaporated. Further defeats were at Redruth (38-22), Rams (31-15), Chinnor (43-56) and Cinderford (41-24). The size of defeat in the last home match of the season (26-66) to Tonbridge Juddians was a surprise to many followers. Lewis Webb and Freddie Fraser were both involved in 28 of the fixtures. Aron Struminski was top try scorer with 21 from 21 appearances. Ollie Rice was player of the season after 24 appearances and 18 tries. Gary Kingdom was once again top points scorer with 232 from his 22 appearances (he usually plays in every game but missed 8 injured). Kingdom, Rice, Fraser, Webb, Hamilton, Harvey, Vakalutukali, Fleming, Oliphant-Thompson, Prior, Mason, Baker and Dalton. The last 3 named missed a few matches towards the end of last season as they spent the summer in New Zealand playing for Carterton Rugby (near Wellington). James Kenny and Paul Davis are signed with Exeter Chiefs. Dan Frost has been signed by Cornish Pirates after spending loan time with them last season. Detail on new players is yet to be announced, but according to the Barnstaple RFC web-site their utility back Jason Petherbridge has joined Titans. Aron Struminski* (25) 21 82 2012 21T Wing: Launceston*25, Exeter ‘A’, Exeter University. Jamie Fleming* (30) 19/5R 111 2010 2T OS Wing Forward: Exeter Chiefs 3. Sam Prior * (29) 17/9R 113 2011 4T No8: Dorchester, UWIC. This fixture has the makings of an interesting encounter with two sides looking to run the ball at every opportunity. It would be great to see a good number travelling to support the boys in this opening match of the season. Try and make it if you can!! !